As a graduate student at the University of Miami, Rochelle Boreland knew she was on a tight budget but didn’t want to let her hair, one of her biggest expenses, fall to the wayside. She found creative ways and techniques to style her hari and quickly became a campus favorite and hair consultant. She is well-known for her self-made clip-in pieces and handsewn custom wigs. 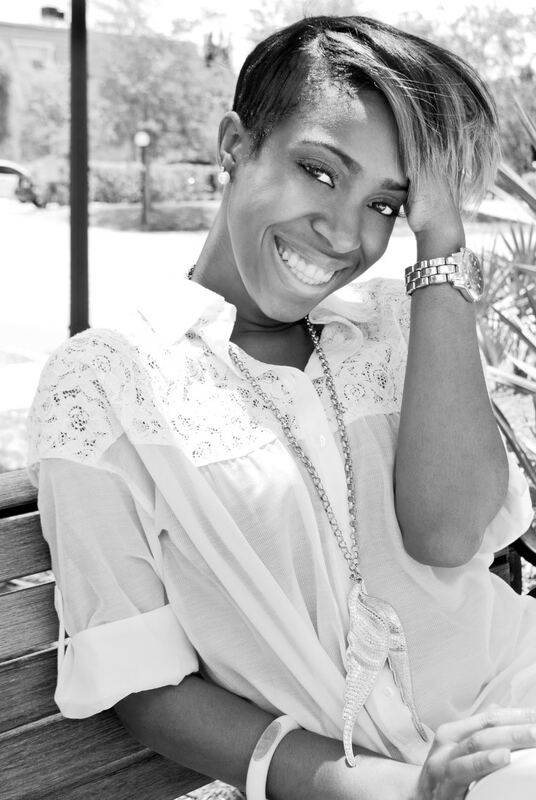 During her time as a student, Rochlle transformed her hobby into a brand, Rochelle Yanique, Inc. and has remained focused on providing high quality styling at an affordable cost. Her site, IamRochelle.com, is an extnsion of the Rochelle Yanique brand and provides a plethora of information on growth regimens, hair care tips, styling tutorials, and product reviews. We recently got up close and personal with Rochelle to have her let us in on how she balls on a budget. 1) What do you love most about weaves? Definitely the versatility! I love the ability to switch up my style and quality extension allow me to do that. I think extensions give you a chance to reinvent yourself as often as you’d like. 2) You have said you have been inspired to start your business by the need “to do more with less”. How can everyday women who may not millions of dollars to spend do this too? What are some cost-effective ways to keep your hair looking good on the fly? I always tell women to make the most of their salon visits. Ask important questions from your stylist and then find out how to do the same techniques on your own! With the growth of social sites like YouTube or even beauty blogs, there are tons of tutorials that instruct women on how to achieve certain looks. Theres almost no excuse not to save money. You just have to be willing to learn! 3) Some women may buy pricey weaves ($80+) but after they run its course for 8 weeks or so, they’ll take it out and toss it in the trash. Do you think it’s okay to re-use weaves? How should they be maintained so that they are wearable again? ABSOLUTELY! Wash and reuse is the ONLY way. Lol. After spending hundreds of dollars on hair, its so important that women learn to preserve their extensions for the next time they want a style. Beauty may be pain, but it does not have to be expensive. Get your money’s worth & save those dollars ladies!